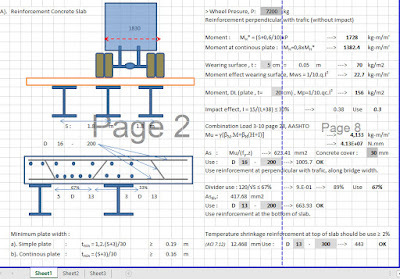 Composite Bridge Design Spreadsheet presents presents the calculation and design of composite highway bridges using beam and slab construction. The evaluations of design values of actions (loads), action effects (bending moments, shears, etc.) resistances (of cross sections and of members in buckling) and limiting SLS criteria are carried out in accordance with the Eurocodes, as implemented by the UK National Annexes. Structural arrangement is that The bridge carries a 2-lane single carriageway rural road over another road. The carriageway has 1.0 m wide marginal strips, in accordance with TD 27/05 and has a 2 m wide footway on either side (this width is slightly less than the width for footways given by TA 90/05). 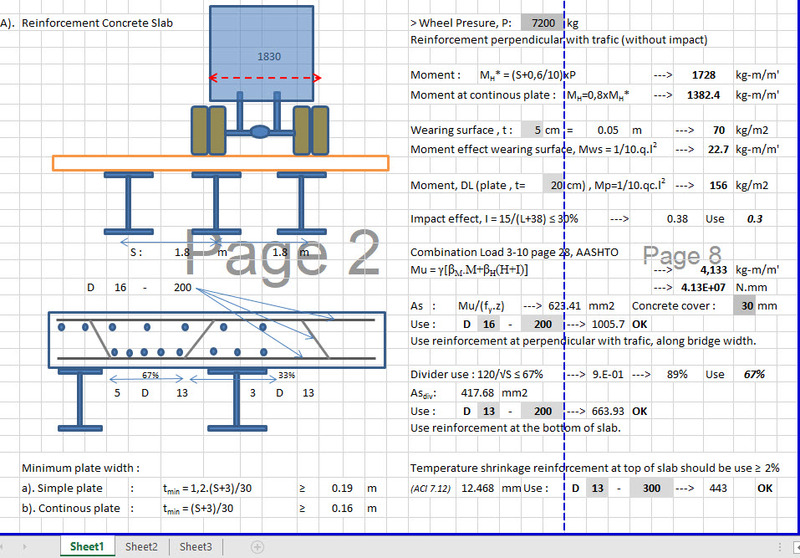 A four-girder arrangement has been chosen, and a deck slab thickness of 250 mm has been assumed. The deck cantilevers 1.6 m outside the centrelines of the outer girders; a 250 mm thick slab is likely to be adequate for this length, carrying footway loading or accidental traffic loading.